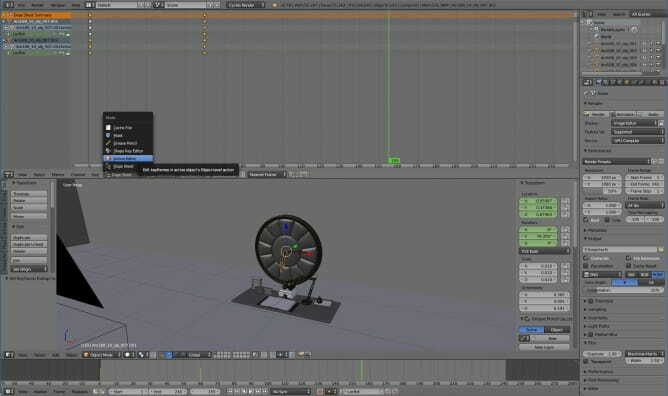 In this tutorial we will make a simple clock animation using Blender and Unreal Engine 4. 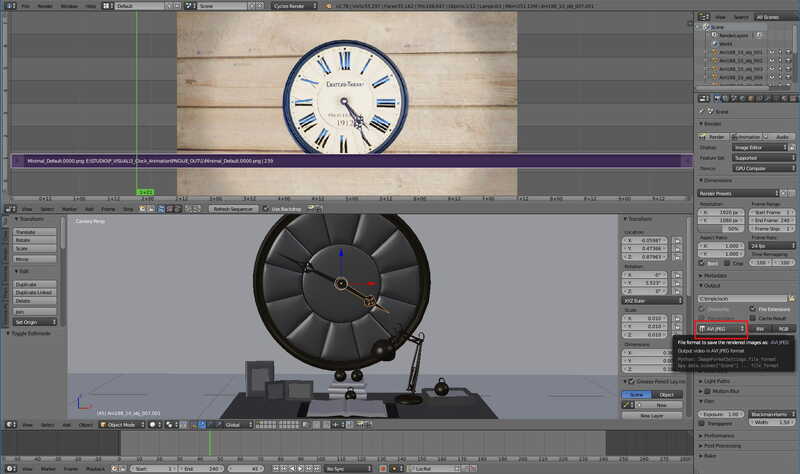 This simple tip will help you to make a simple clock animation in Blender, export it to Unreal Engine, render it, post process it in Affinity Photo and create final AVI file in Blender sequence editor. We will use an asset from Archmodels vol. 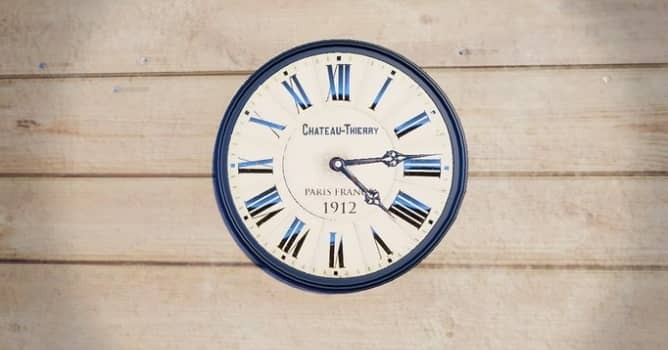 188 - the latest clocks, props and gadgets collection from Evermotion. In this case we could easily abandon some Blender steps and create animation directly in Unreal Engine 4, but I wanted to show this workflow in case you would like to use more complicated animations that you would like to include in your scene in the future. The whole process of making this animation takes no more than 30-40 minutes if you don't struggle in the way. 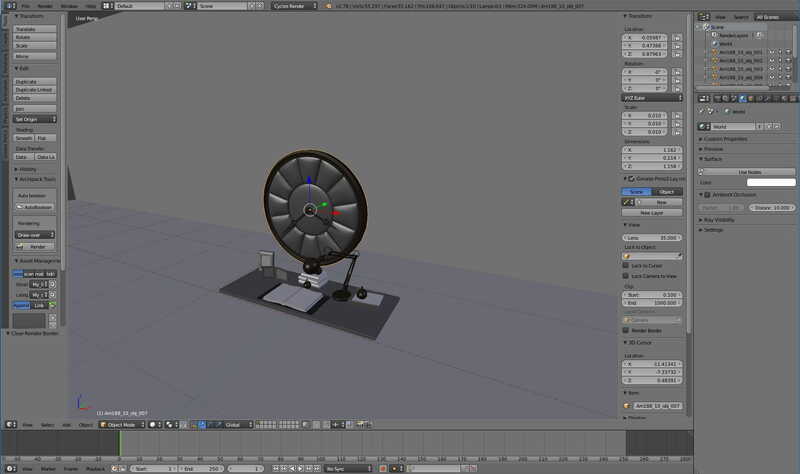 First, we import our assets into Blender and set up simple background. I used set 10 from Archmodels vol. 188 with nice vintage clock, lamp, books and some small props.I imported them as FBX file, although I could also use OBJ format. Archmodels vol. 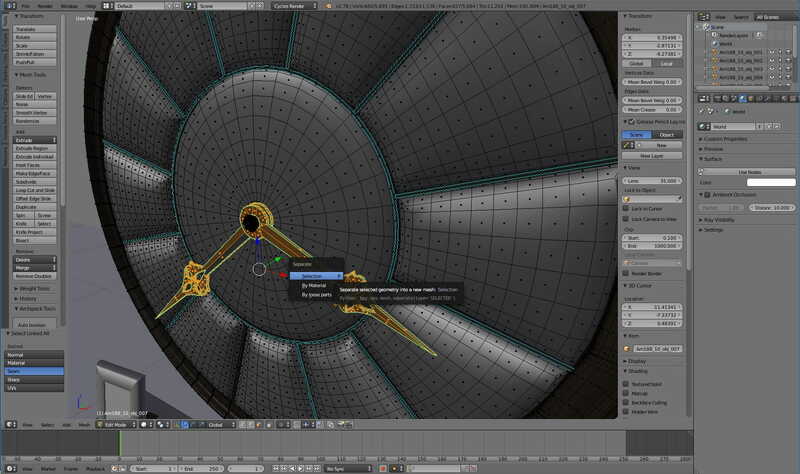 188 have also MAX, C4D formats included. In order to animate our clock hands, we need to separate them from clock face. Let's press TAB to go into edit mode. I selected one face of each hand and pressed "CTRL-L" to select linked faces. This way I have whole clock hands selected in three clicks. I pressed CTRL-P to separate faces and used "separate selection" options. I used the same separation method to separate hour hand from minute thand. 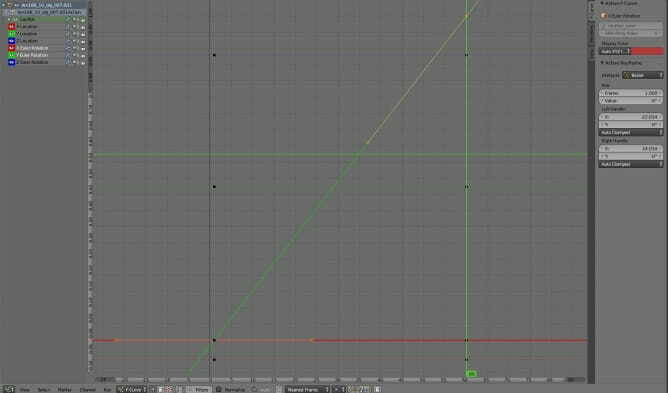 Before we begin animation we need to make sure that we have desired FPS. 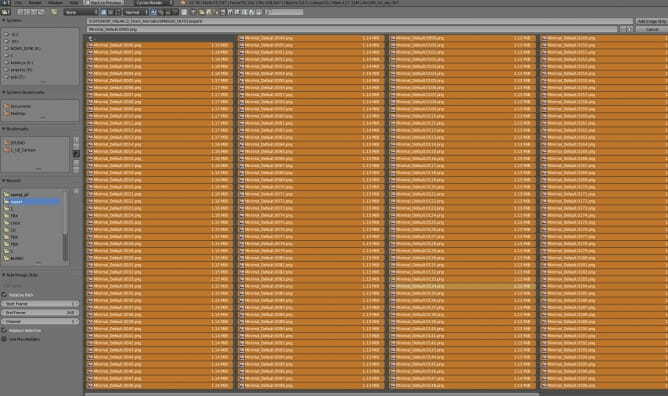 I used 24 frames per second, I decided that I want 240 frames total. I changed the options in highlighted windows. 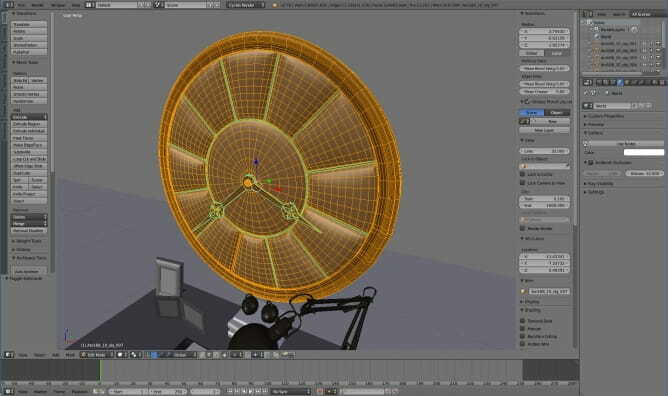 I wanted minute frame to rotate 360 degrees after 60 frames, so I choos "LocRot" key set and inserted (I) one keyframe on frame 1, moved cursor to frame 60, rotated the hand (R 360) and inserted (I) another keyframe. 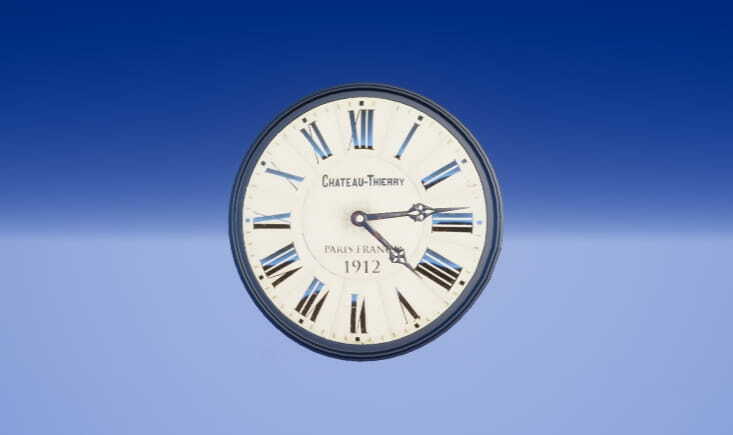 Hour hand moves by 12 times slower than minute hand, so after 60 frames it rotates only by 30 degrees. I opened curves editor for each hand (SHIFT-F6) and changed interpolation mode (SHIFT-T) to linear. 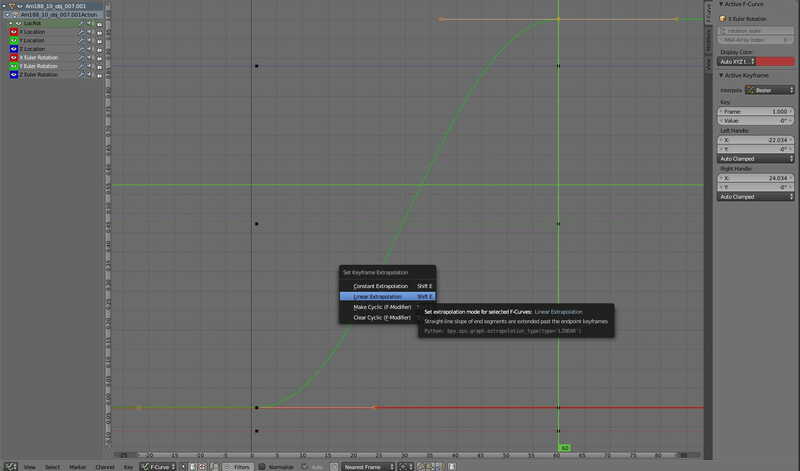 By default Blender uses bezier interpolation. We can change exact point value in curves editor by opening properties panel (N) and dialing desired number in Value box. I opened Dope Sheet and choose Action editor mode to see my keyframes. 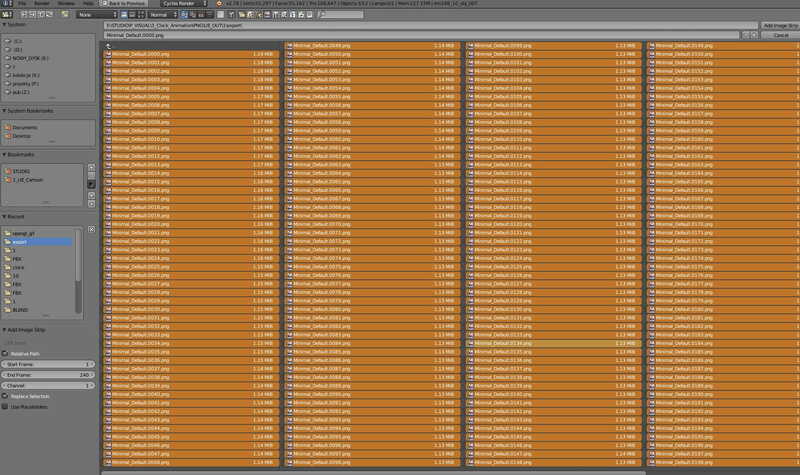 I pushed two actions to NLA strips, this way I can stack them in NLA editor and have better control over my animation if I want to move more things in the scene. 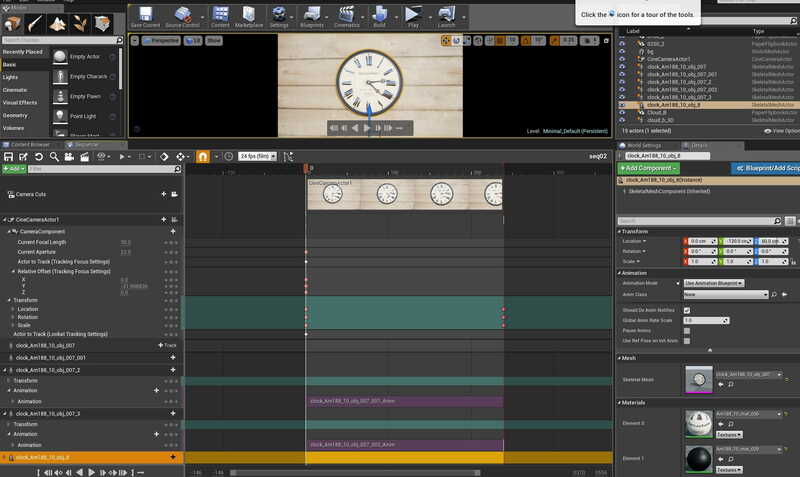 NLA editor allows for blending various animations and change their timing, so I could easily rotate the whole clock and arrows independently. This is Open GL render from Blender viewport. 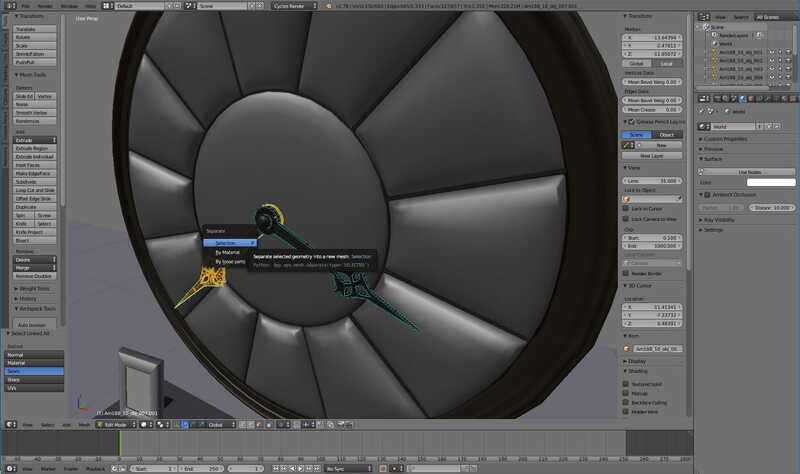 I baked (ALT-C in curves editor) animations and exported FBX from Blender (selected objects and baked animations). I made a new project in Unreal Editor, created an empty map, dragged directional light, atmospheric fog and skylight and imported my clock assets (clock.fbx). 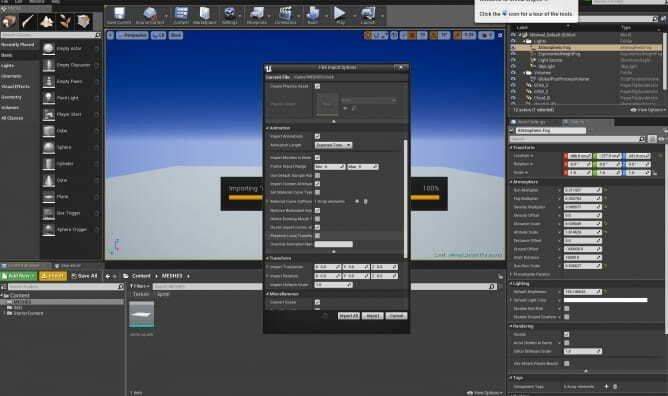 Objects import with default materials, we will need to recreate them in Unreal Engine 4. Clock face is simple - it was already unique UVs, so we can just apply Evermotion maps directly. 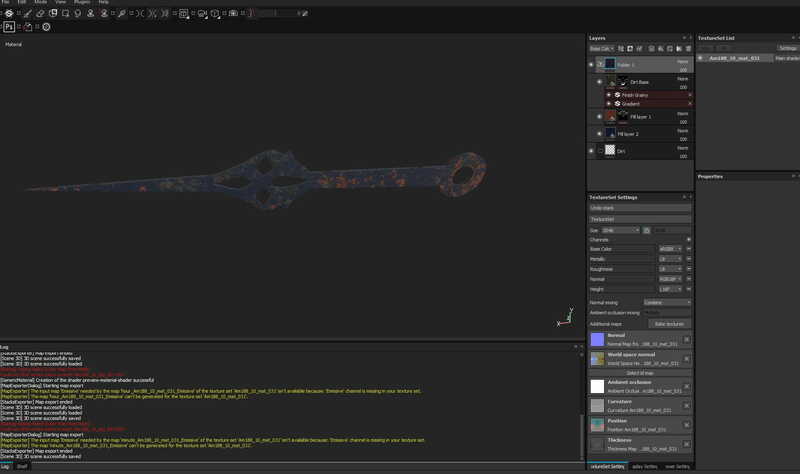 But there was a need to unwrap clock hands and make some old, rusted metal material In Substance Painter. 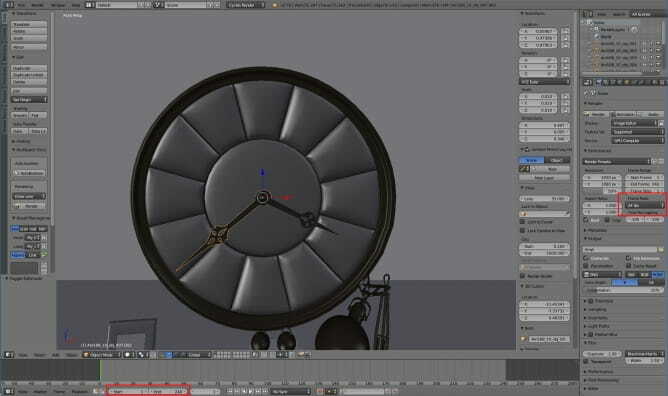 Clock hand in Substance Painter: some painted metal with rust and dirt. We export maps as Unreal Engine 4 (packed) in jpg format. 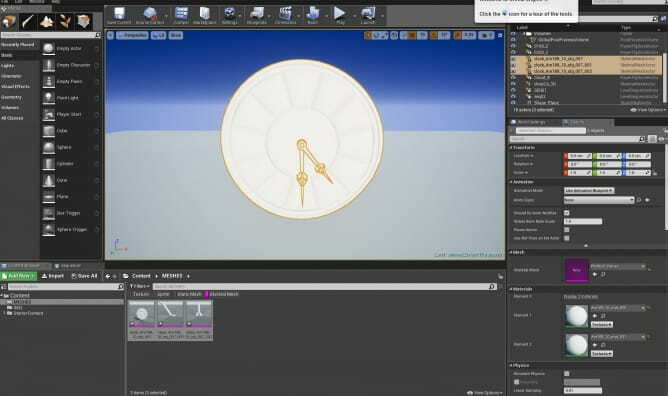 Clock in Unreal Engine 4 with very simple maps. 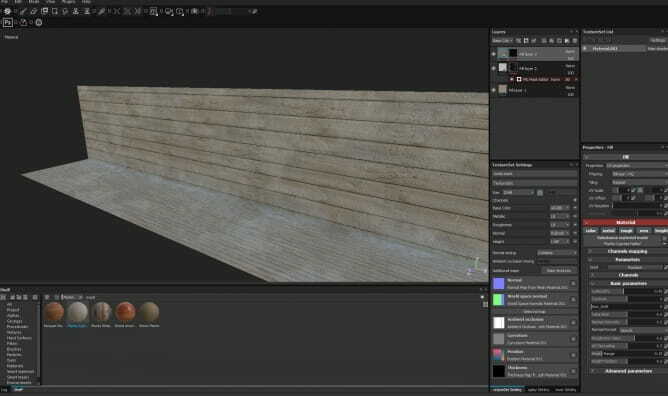 I decided also to make some fast texture for backdrop. 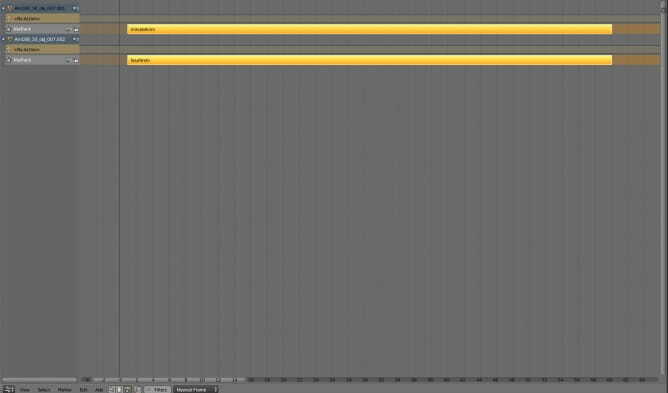 With all assets in place, I could createa level sequence in Unreal Engine 4 sequencer. I added clock hands to sequence and selected their animations strips. I also added some simple camera movement in Unreal Engine 4. I didn't want to use UE4 Depth of Field, so I set "Focus settings" to "None" and changed aperture to 22. This way I could achieve some crisp shots. 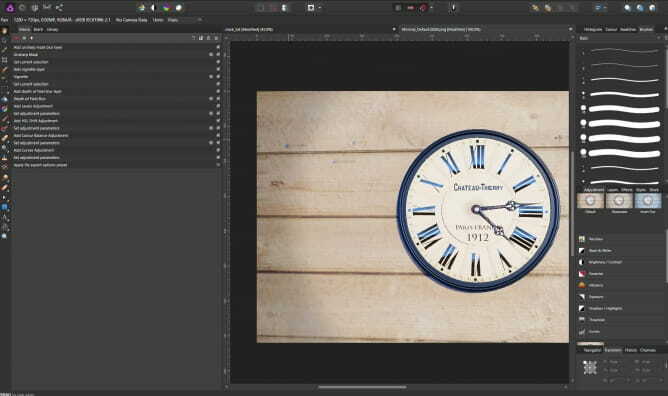 I exported animation from Unreal Engine 4 as PNG files and I launched Affinity Photo (which is in my opinion totally capable of replacing Photoshop when it comes to texturing or post-production). Thanks to UE4 it took literally 30 seconds. Then I opened one frame in Affinity Photoand record a macro with some post-production setup. I added Macro to library. 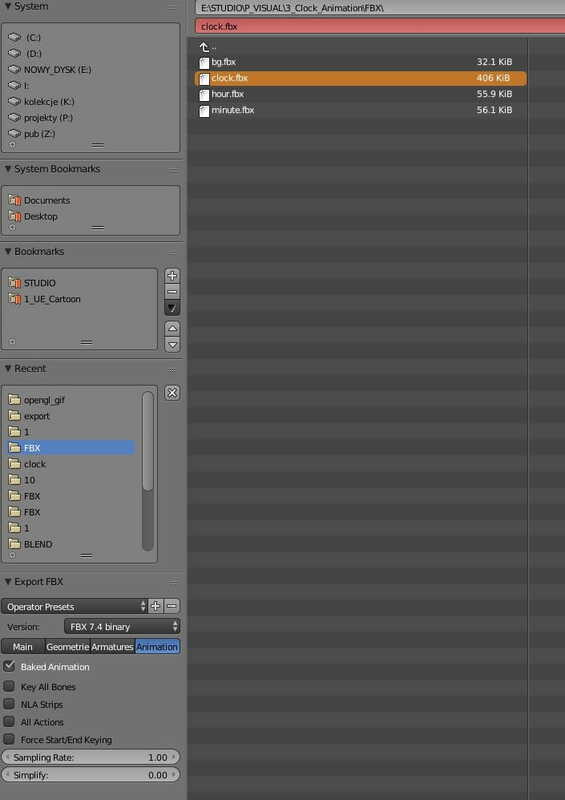 Then I selected "File > New batch job" which allowed me to apply macro to all files and save them in separate folder. Blender again: I opened Sequence editor in Blender, I chose Add > Images and selected all frames (with CTR-SHIFT click). You need to be sure that you also dial good frame range (in our case: from 1 to 240) in "Start Frame" and "End Frame" boxes. With movie in place we can now export our final AVI file (we could also add music if we would like to). Just select export folder in Render settings and choos AVI JPEG format from the list. 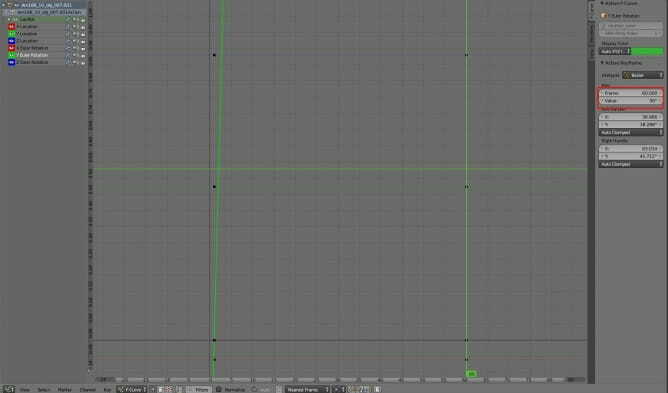 Final animation made in less than an hour.